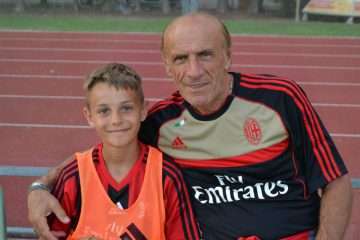 Filippo Galli is one of the main reasons for the Milan victories throughout the years ’80 and ’90. 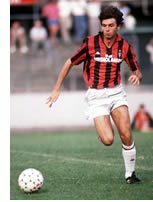 Born in Monza on 19 May 1963, he started in the A serie with the Milan team shirt on 18 September 1983. 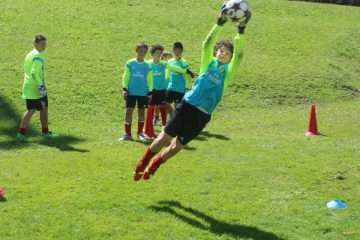 In his remarkably long career he participated to 15 Championships in the Serie A, attending 254 times (217 with Milan, 21 with Reggiana, 22 with Brescia), 3 Championships in the Serie B, 33 times with Reggiana and 70 with Brescia, 1 domestic Championship in C/1 attending 28 times with Pescara and 2 domestic Championships in C/2 with the Pro Sesto. 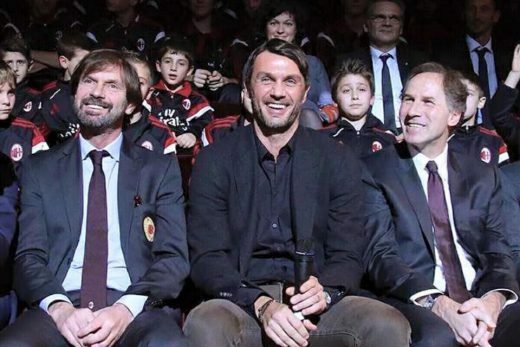 The longest period was with Milan, for which he played 37 times in the European Leagues, but above all he won 3 Champion Cups (1988/89-1989/90-1993/94) e 5 Italian National Championships (1987/88-1991/92-1992/93-1993/94-1994/95). In his prize records it is good to remind of the 8 times with the Italian Team Under 23, the 7 times with The Italian Team Under 21 and the 7 times with the Olympic Team of Italy in Los Angeles in 1984. 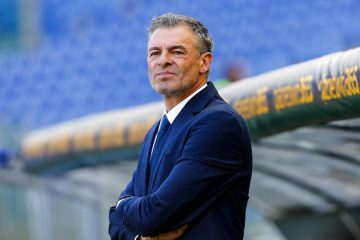 There are also two promotions obtained in the minor domestic championships: one from the Serie B to the Serie A with Brescia and 1 from the Serie C/1 to the Serie B with Pescara. 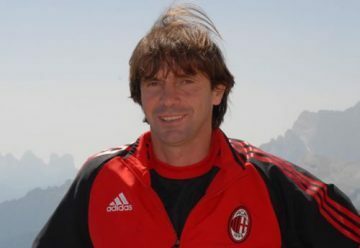 The official trainer of the Milan “Primavera“. 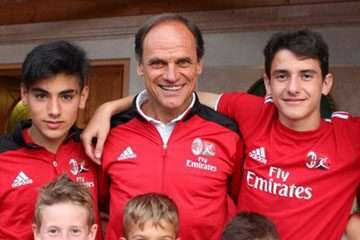 In July 2008 Filippo Galli joined the technical staff of the AC Milan First Team and he is one of the two assistant coaches of Carlo Ancelotti. 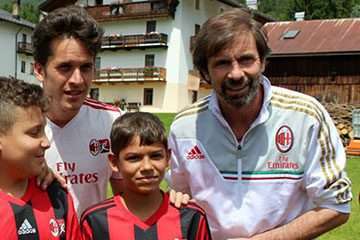 It was on charge in particular of the coaching of the AC Milan First team defenders. 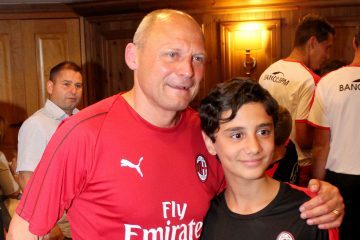 From 2009 to 2018 Filippo Galli was the AC Milan Youth Department Manager..